An inheritance is something to take very seriously. When it is available and given through family or a loved one, it is to be honored and well taken care of. If we take a quick glimpse at the book of Joshua, we see a book that is the promise kept by God to Moses that they would inherit the land and possess it. Essentially, this is a book on victory and God’s faithfulness to Israel, and a charge to honor the LORD with this inheritance of grace. Lets take a look of the Book of Joshua. We have to understand that this was a very joyous time for the Israelites. They have been wondering the desert and they have finally found the lands that they have been so eager to see. Now they are here. The promise made to Moses is very real and the promise from the LORD about the land has been kept. It was important for people to remember the things God did for them so that they would never forget the faithfulness of God during times of struggle and hardship. See God told Joshua to remember this moment and to tell their children of this. Israel was commanded to conquer and take the land that the Lord had given to them. This was unique moment for the history of Israel. This pattern of claiming what is ours is repeated for us even in the New Testament as to knowing whose and who we are in Christ. Once the land was taken into their hands it was now time to divide the land among the people in Israel. They now had an inheritance when they did not have one before. What will they do with it? If you look at history, not all the tribes kept their promise. If we look to Christ, He was the perfect promise keeper. Serving the Lord in the land. Therefore, be very strong to keep and to do all that is written in the Book of the Law of Moses, turning aside from it neither to the right hand nor to the left, 7 that you may not mix with these nations remaining among you or make mention of the names of their gods or swear by them or serve them or bow down to them, 8 but you shall cling to the Lord your God just as you have done to this day. This scripture is a similar parallel scripture to Matt 28:18-20 and & Hebrews 3:12-14. This is a call to obedience and remembrance to what God has done. Joshua is given a charge similar to one he was given. The last portion of Joshua is an ending in Joshua’s life where he asked them again to make a declaration again; that the Lord is who they will choose to serve today. 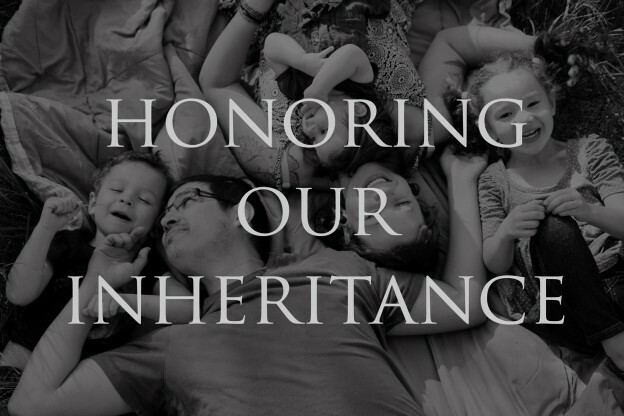 How are we honoring our inheritance? Jesus is our brother and scripture says in Romans 8:17 that not only has given us authority but are co heirs with Him! We share in this inheritance, which means we must OWN it and stop acting like bad tenants renting a home that is not ours. This is an idea we must now own for our families and our church that we have an inheritance in Christ that we must take very seriously. This is means we must serve Jesus by responding faithfully to the great commission. What do we do with this inheritance? Jesus has given us the ultimate inheritance and possession, Jesus is the greater Joshua. Our inheritance is Christ and the hope He has given us is life. We now stand in the greatest season yet of God’s redemptive history. Christ, the greatest promise has already come and now we have the responsibility to carry out the call and mission to reach the world for Him. Let us as households and churches to make Jesus known, and walk in obedience by honoring the inheritance of the great harvest, and heirs in His kingdom. Have you decided on your household purpose? Is your home open to people? Do you see your neighborhood as a mission field? Do you see your work as a mission field? What are your circles of influences? Does your family seek to help in service projects on your own? Food banks, taking up a church ministry, passing out food etc. We will win many times as Israel did, w will also lose and fail many times. We must continue to declare whose and who we are in Christ and remember and live out the promise given to us through Christ. We must be ready to give Gospel demonstration, AND NOT ONLY gospel proclamation. Remember that God uses families, especially weak ones to do His work!